I got a tip from my homebrewing club that a distillery wanted to sell some barrels, conveniently sized at 6.5 gallons. Gay, Eva and I took a trip down to Sumner, WA to Parliament Distillery, a new small distiller, and picked up 4 barrels: 2 for me and 2 for the homebrew club. 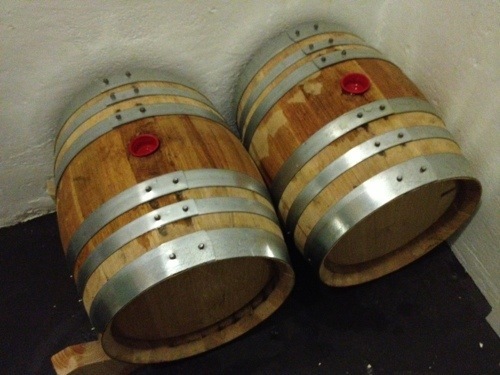 I can’t wait to age some stouts, barleywines, IPAs and sour beers in them! I filled them with water to keep them from drying out until I have beers to put in them. The new brewery setup can’t happen fast enough.